Eleanor: The property of Sir Charles Bunbury Bar.t. A fine pair of colour printed stipple plate and etched engravings by John Whessell after his own designs; published by Edward Orme in London in 1800. 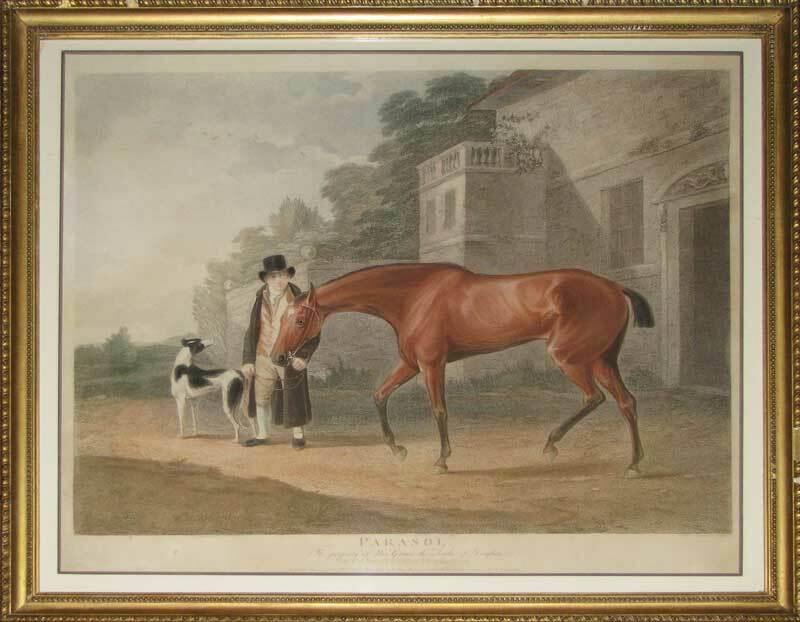 These plates are from Orme's famous series of thoroughbreds entitled "Portraits of Celebrated Running Horses". 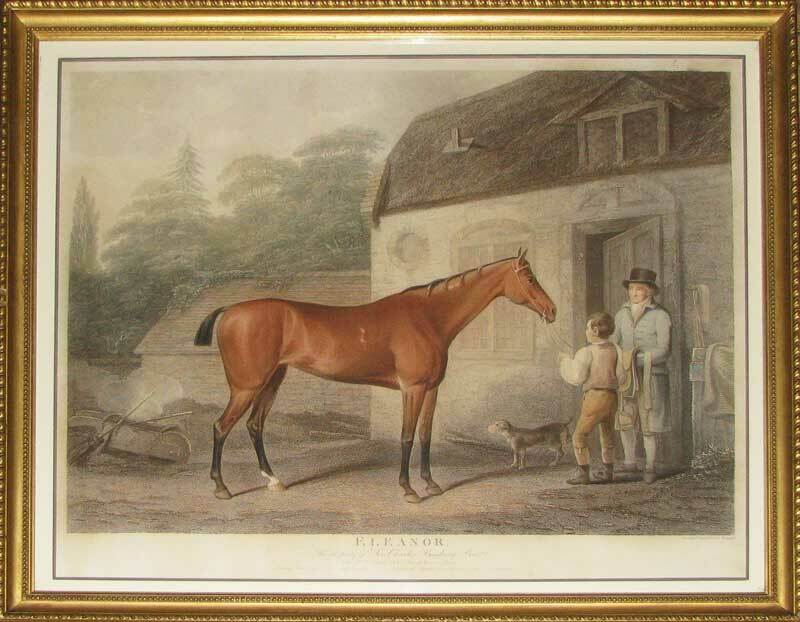 Each image shows the race horse with groom and dogs in an idyllic rural setting. Little is known of John Whessell except that he worked and lived in London during the late C18th and early C19th. Unusually for a man of such talent he excelled at both painting and engraving and these prints come from a series of eight that he produced between 1800 and 1808, all published by Edward Orme. They are lovely examples of what are quintessential Georgian sporting prints.